It’s officially the End of Financial Year sales period, and many car shoppers will be looking to snap up a deal on their new set of wheels. According to a recent Herald Sun article, sales of new cars have skyrocketed this year, and many dealerships are offering deals and discounts as part of their End of Financial Year Sales. So far for 2012, sales are up 8.8 per cent to 435,288, with Western Australia coming in as the highest growth state, up 13.3 per cent since last year. The month of May also set a car sales record, with official VFACTS data showing that 96,069 vehicles were sold, up 24.1 per cent on May last year. If you want to take advantage of all the great deals on offer at this time of the year, there are a few things to keep in mind. This almost goes without saying for most people, as most new car searches will begin online. See which particular manufacturers are offering specific specials on certain models, and whether any of them suit your needs. Then you can head to the dealership with a fairly good idea in mind of what you’re after, what extras you can get (for free), and what you can expect to pay for a vehicle that’s on sale at a special price. It’s tempting to jump on a great deal as soon as you see it for fear that it may be gone the next week, but keep in mind the kind of car you need. Have some clear ideas about what kinds of features you’re after, what size model you need, how much you’re willing to spend on services every year, and what kind of fuel efficiency your car should have. 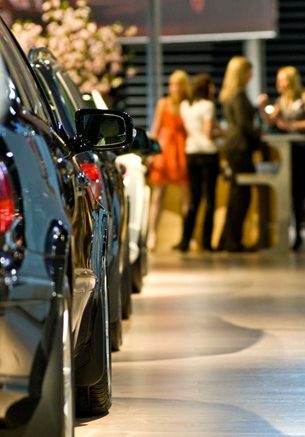 Chat with your car dealer about all your requirements, and they’ll be able to point you in the right direction. That way, you’ll end up with a car that suits you perfectly, rather than something you got for a “steal” but will end up spending more time sitting in your driveway than on the road, because it wasn’t what you were really after. Read the fine print carefully – has the car been significantly discounted, and do you really need all of the free extras that the manufacturer is offering? You don’t want to end up realising (after it’s too late) that you haven’t made much of a saving at all, so keep an eye on car prices leading up to the sales, and wait til you find a deal that’s worth taking advantage of. Good luck on your search for a new car! To get you started, check out our list of current specials now, or contact us today!